Does the thought of flying with a baby fill you with dread and fear but the soft white sands and clear blue water of a far off paradise call your name? Or are you just really desperate to go home and see your family interstate? Looking after a baby in your home environment is a juggle, so the thought of being in a confined pressurised metal tube with hundreds of others is a daunting thought. 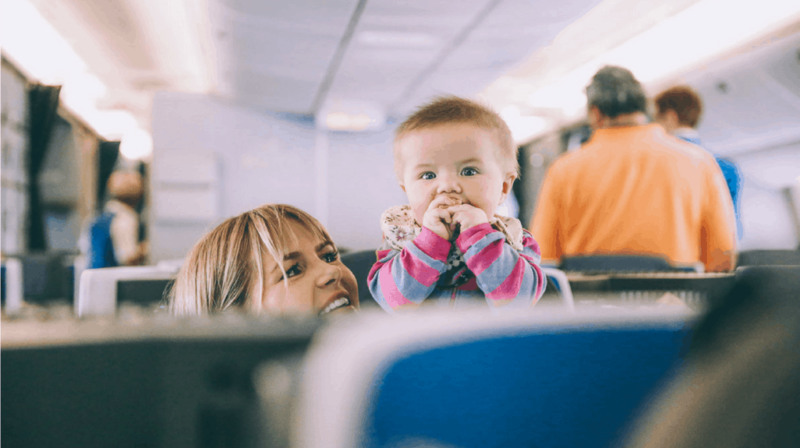 The good news is, help is at hand and these fifteen travel tips for how to manage your baby’s first flight will have you smooth sailing (or flying in this case) in no time. Don’t book a flight that is late in the day if you know your baby gets cranky in the afternoon. Babies are generally in a better mood early in the day. On domestic services, lap infants under the age of two can travel on their parent’s tickets. For international services, infants must have their own ticket. All infants booked with a seat must have their own ticket. Request an aisle seat. Trying to get past other passengers in your row to get to the toilet is difficult. I nearly stumbled onto the lap of one gentleman while I was struggling to exit and my bub dribbled across the heads of the passengers seated in the row in front of me. There is only a limited amount of bassinets available and with so many families travelling these days, they are in high demand, so request one well in advance of travelling. Also, check with your airline before travel to see if your baby will meet the criteria, as there are weight restrictions. Bassinets on Qantas flights are approximately 71cm long, 31cm wide, 26cm deep, and have a weight limitation of 11 kg. If your infant is too large for the bassinet and is travelling on the parents ticket then they must be nursed. I highly recommend a CoziGo (previously known as Fly Babee) bassinet cover that blocks out light, giving your baby more chance of a peaceful rest. It also doubles up as a universal stroller cover so comes in handy when you’re trying to get bub to sleep at the airport during transit time. Then once you’re at your destination it also offer sun protection. Research indicates that the safety of your child on a flight will be enhanced with the use of a child seat. Most airlines will let you check in your car seat in for free but approval cannot be obtained at the airport. Infants will need to be booked with a seat by contacting your local Qantas office to make the booking (infants booked online are automatically booked as lap infants without a seat). You can find all the info on approved car seats and more info here. If you can’t bring your car seat make sure you’ve organised one at your destination and think about how you’re getting to and from the airport. 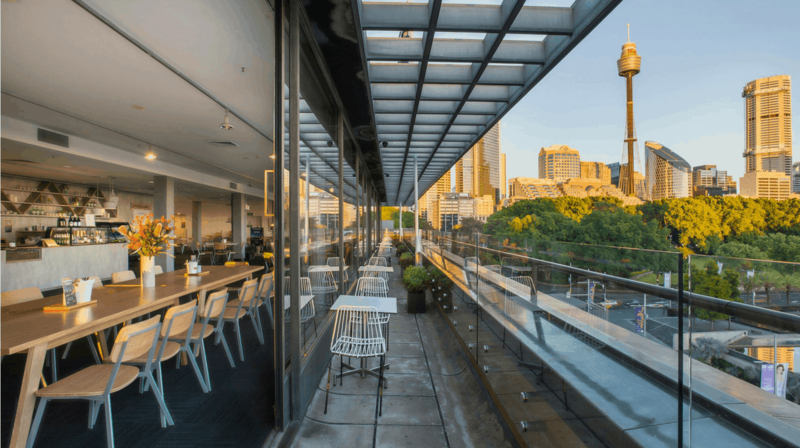 Parking at the airport or close by can sometimes be cheaper and less of a hassle than a taxi or asking for a lift – especially in a capital city. The suitcase itself – Get something with wheels. Trying to carry a baby, hand luggage and a suitcase is not adviseable. Packing Nappies – Invest in good quality nappies and stock up before you go. Brands overseas (especially in Asia) don’t compare with our Australian quality. Best to pack too many than not enough so I average on 10 per day. Roll them up and use them to fill holes. If you are taking a pram, check it in. Qantas advises that most mainline Australian ports have strollers available for you to use in the airport once you have checked-in your own personal stroller. Staff will be on hand at the boarding gate ready to collect the stroller and to further assist you with pre-boarding the aircraft. Use the parents room in the airport. All Australian terminals have a baby change room so allow some extra time to duck in there before the flight to freshen up the baby. Also, go to the toilet yourself before getting on board. Don’t think for a second that it’s possible to hold the baby whilst going to the toilet in a tiny plane cubicle and emerge looking like a decent human being. Make sure your baby is sucking (milk or dummy) during take off and landing. Little ears are so sensitive to the changes in aircraft pressure. That piercing scream you hear on take off and landing can be avoided if your baby is sucking during this time. Throw the meal schedule out the window and hydrate your baby with extra feeds. It is so dehydrating up there and it can really help with jet lag and recovery if you are hydrated. If you are breast-feeding make sure you are drinking lots of water. If you are formula feeding, then pre measure the formula as much as possible. The crew should be able to help you with boiled water, you just need to let it cool.